Calling all cowboys and cowgirls! It's time to grab your hats and get ready for the most exciting event attraction in the Parish; the Mechanical Bull Rodeo. How long can you hang on? 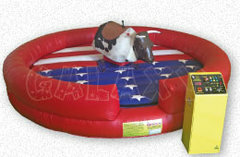 When it comes to a mechanical bull safety is our top priority. 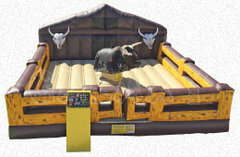 Every mechanical bull is operated by one of our staff members who is safety certified by the Event Planners Association and will oversee the use of the mechanical bull throughout the event. Browse the selections below and click on the image or "More Info" link for more information and to make a reservation.